All Mecca homes currently listed for sale in Mecca as of 04/26/2019 are shown below. You can change the search criteria at any time by pressing the 'Change Search' button below. "SPECTACULAR LAKE VIEWS! 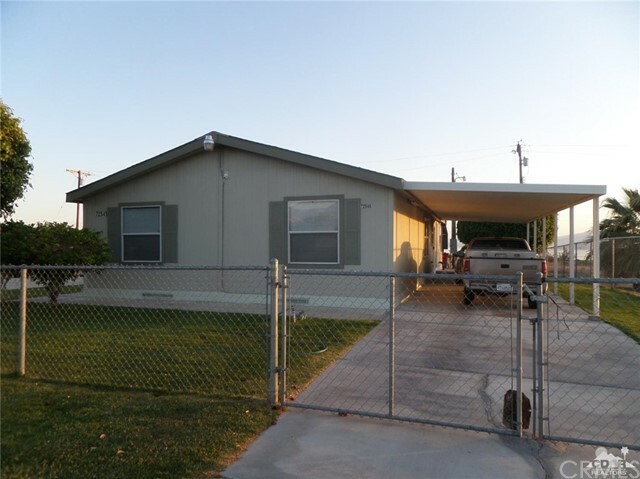 from this nice manufactured home featuring 4 bd, 2 full baths, sitting on an elevated lot fenced. Front entry offers two nice slide gates with a custom stone/concrete floor patio. RV space, carport. Back yard with plenty space with dogs area and playground. Interior features open floor area with tile floor at living space and kitchen, colorful walls, spacious pantry and lots of natural lights. Bedrooms are separated, master bd includes walking closet, carpet, and a nice double sink, full bathroom. 3 guest bedrooms in west side of the house with carpet, ceiling fans in two. Guest bathroom with skylights and tile floor. Laundry area with storage space." "BEAUTIFUL home and VIEWS!! Who said you can't have both? I mean this home practically looks brand new!!Manuf. 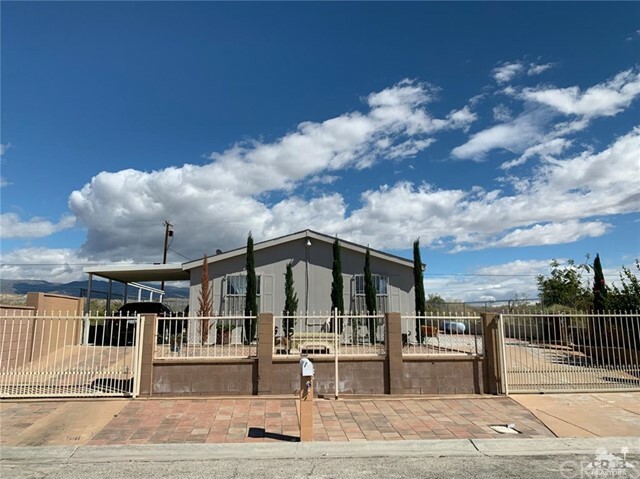 Home on permanent foundation(433(A)on file,SPACIOUS,Extremely well cared for inside and out & Move in ready, Newer HVAC system..and the VIEWS!.Really, I can go on and on.. You'll love this home. USDA,100% financing available. Note: Washer and dryer pictured in rear yard stay. If obtaining a loan, please call Enrique Braunschweiger for a Pre approval. * Please include Preapproval letter and POF w/offer." 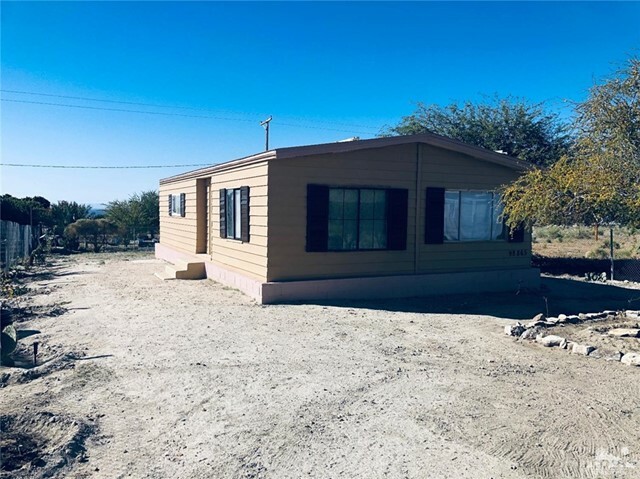 "2 bedroom, 2 bathroom manufactured home with 433 approved foundation in North Shore section of Mecca. Tile floors throughout, stainless steel stove and microwave, lots of kitchen storage, updated vanities in both bathrooms. Living room opens to the kitchen. Double wide trailer. Nice sized 7,841 SF lot. New AC Unit."